An attempt to keep the magazine afloat. Rodale is giving Prevention an ad-free overhaul. Starting with its July 2016 issue, the magazine will go completely ad free in an attempt to lure more consumers. To offset ad dollar losses, Rodale will bump up the single copy cost from $3.99 to $4.99. Subscription prices will also go up. Of course with no ads, no ad sales staff are needed. 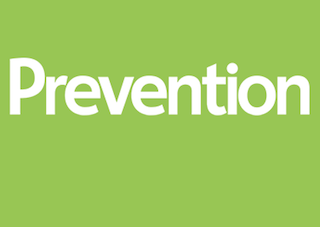 So Rodale is cutting about 20 sales members from Prevention, including publisher Lori Burgess. Rodale CEO Maria Rodale told the New York Post that she would “try to transition them to other jobs in the company,” but Rodale is already cutting many positions company-wide, so we imagine staffers aren’t holding their breath.